For Solo Harp. By John Williams. John Williams Signature - String. 6 pages. Published by Hal Leonard. By John Williams. Arranged by Carol Matz. For piano. This edition: Big Note. Piano - Big Note Collection. Harry Potter. Big Note Piano. Movie. Level: Big Note. Book. Published by Alfred Publishing. By John Williams. Arranged by Carol Matz. For piano. This edition: Easy Piano. 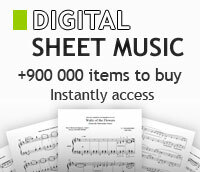 Piano - Easy Piano Collection. Harry Potter. Easy piano. Movie. Level: Easy Piano. Book. Published by Alfred Publishing. Selections from Harry Potter and the Goblet of Fire! By Patrick Doyle And John Williams. Arranged by Michael Story. By Patrick Doyle and John Williams / arr. Michael Story. For Concert Band. Concert Band. Pop Young Band. Movie. Conductor Score. Published by Alfred Publishing. By John Williams. Edited by George Megaw. Arranged by Paul Cook. Orchestra (String orchestra). 138 pages. Published by Alfred Publishing. Composed by John Williams, arranged by Gail Lew. Collection for solo piano. From the motion picture "Harry Potter And The Sorcerer's Stone". 30 pages. Published by Alfred Publishing. Featuring: Harry in Winter, The Quidditch World Cup (The Irish), Hogwarts' Hymn, Hogwarts' March, and Voldemort!. By Patrick Doyle, John Williams. Arranged by Jerry Brubaker. Published by Alfred Publishing. Featuring: Hedwig's Theme, Potter Waltz, Foxtrot Fleur, the Quidditch World Cup (The Irish), and Hogwarts' Hymn. By Patrick Doyle, John Williams. Arranged by Michael Story. Published by Alfred Publishing.